Turkish leader Recep Tayyip Erdogan has blamed the failed putsch of 15 July on Fethullah Gulen, an Islamic teacher who lives in the US and who denies the accusation. He has outlawed the Gulenist movement, known as Hizmet (meaning “the service”) to its followers, and Feto (meaning “Fethullah terrorist organisation”) to its adversaries. He has apologised to Turkish people for letting it infiltrate Turkish institutions. He has also arrested thousands of its sympathisers in Turkey and urged Turkish expats in Europe to denounce its foreign members in a purge that has imperilled EU relations. But all the while, Gulen-linked organisations have thrived in the EU capital. Some of their offices in Brussels’ EU district stand cheek by jowl with Turkish government buildings, and their people, who used to praise Erdogan, now denounce his autocratic ways to MEPs, officials, and press. 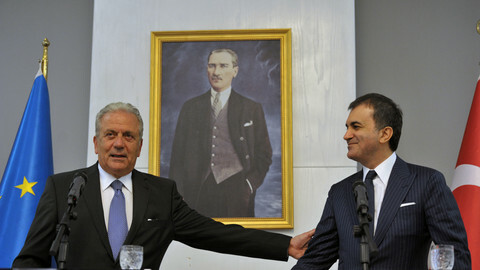 Tuskon, the Confederation of Businessmen and Industrialists of Turkey, has been one of the most visible Gulen-linked groups. It set up shop in 2005, when Erdogan and Gulen were allies, and became an advocate of Erdogan’s political party, the AKP, in Europe. ”We organised more than 100 meetings in Brussels and also some in Turkey,” Tuskon’s EU director, Serdar Yesilyurt, told EUobserver. Tuskon sponsored a Turkey project at the European Policy Centre (EPC), a think tank in Brussels, which cost €40,000 a year and which gave it a say on the selection of speakers at events. ”It was a very good deal,” Yesilyurt said. “EPC was able to organise 10 events a year for that money”. 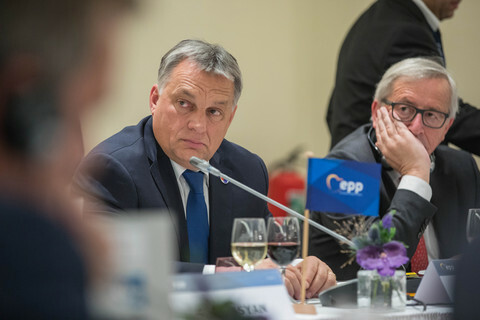 Tuskon also sponsored the congress of the European liberal party, Alde, in 2012 (for a €10,000 fee) and 2013 (€12,000), when its president spoke to MEPs at lunch on both occasions. Other Gulen-linked bodies in the EU capital include Unitee, the European Professionals Network (EPN), the Intercultural Dialogue Platform (IDP), and Zaman. Unitee is a foundation that represents EU entrepreneurs of Turkish origin, while the EPN helps Turkish professionals in Belgium with “career development”. The IDP promotes Hizmet as a movement that teaches a pacifist form of Islam, education, and hard work. “We spread the good work our members are doing to the EU institutions”, IDP director Ramazan Guveli told EUobserver, ”by organising events on interfaith dialogue and issuing policy recommendations, for instance, on how to prevent radicalisation”. 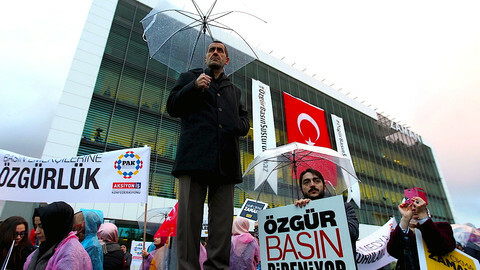 Zaman was once Turkey’s largest-circulation daily newspaper and had a Brussels bureau, but in March this year, prior to the putsch, it was seized by Turkish authorities. None of the groups are formally linked to each other and most, with the exception of IDP, do not want to be called Hizmet advocates. The EPC’s Turkey coordinator, Amanda Paul, who also used to write a column in Zaman, said the Tuskon-EPC events contained “a balanced dialogue”, and that the Tuskon funding “in no way compromised” the think tank's independence. Tuskon’s Yesilyurt also said that its mission was broader than Hizmet. “All of our activities had one goal … Turkey’s Europeanisation, a move toward a liberal economy”, he said. 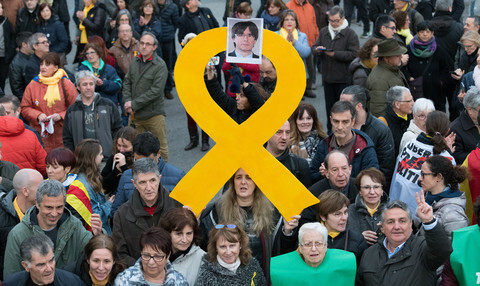 But for some MEPs, the movement's presence in Brussels was more coordinated and more political than its adherents claim. “They are very active, and better represented than the Kurds or the secularist movement”, Kati Piri, a Dutch socialist MEP, who is the European Parliament’s Turkey rapporteur, told EUobserver. Enemies today, Erdogan and Gulen were once allies. Erdogan’s Islamist AKP relied on Hizmet to rise to power, in 2003, when Gulenists moved secularist opposition figures out of the way. Evidence from the Sledgehammer and Ergenekon cases later showed that Gulen-linked prosecutors and judges staged sham trials to oust secularists from important jobs and replace them with their own people. Sledgehammer was an alleged military plot to oust the AKP, but all the suspects were acquitted due to fabricated evidence. 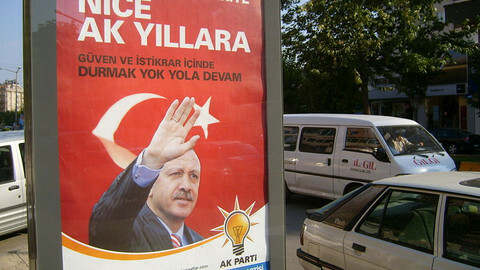 Ergenekon is the name of a purported ultra-secularist group that was also said to have plotted against Erdogan. A court in 2016 said there was no proof of its existence. Meanwhile, Hizmet fell from grace after 2013, when its prosecutors accused top AKP figures of corruption. Before the July putsch, the AKP had already started a slow purge of Gulenists from state structures. Turkey’s EU ambassador, Selim Yenel, told EUobserver that it was hard to explain to non-Turks to what extent Feto had become a threat to the democratically elected government. ”It sounds like a bad novel,” he said. “But every day there is new evidence showing how extensively he [Gulen] was able to put his people everywhere, how generals, judges, ambassadors can be so beholden by a person, how much anger and fear they caused”. Yenel’s EU embassy suspended one official for alleged Feto links. The ambassador said that Feto in Brussels has tried to harm EU-Turkey relations by demonising Erdogan. He said Feto had misled MEPs into seeing it as a benign, reformist movement, when, in fact, Gulen’s aim was to grab power in Turkey and to create an Islamic state on his model. 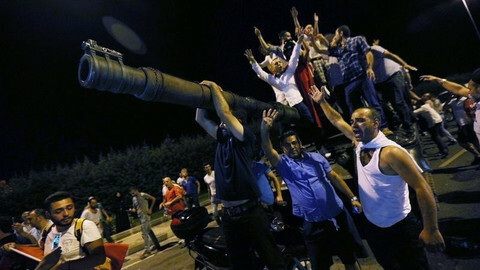 Some AKP leaders have gone further in their suspicions. In 2014, Turkey’s then EU minister, Mevlut Cavusoglu, told media that if the EU froze Turkey’s accession talks, it would be because the European Union was controlled by a “parallel structure” (Hizmet). He said the movement had paid MEPs, naming Andrew Duff, a former British liberal deputy, and currently a visiting fellow at EPC. When Duff confronted Cavusoglu, the minister said that media had misreported his remarks. That dispute aside, senior Alde MEPs, such as the UK’s Sir Graham Watson and Germany deputy Alexander Graf Lambsdorff, have defended Hizmet in Zaman and other Gulen-linked media. They stood by it during the Sledgehammer and Ergenekon trials, even when it became clear that Hizmet had deceived its EU friends. Cavusoglu’s claim that Hizmet controlled the EU institutions is a tall one. But Tukson’s Yesilyurt said his group curried favour “with MEPs across the political spectrum”. He said that they “particularly targeted” the centre-right EPP group, the largest in the EU parliament, seeking out MEPs who were opposed to Turkey’s EU accession. Piri, the parliament’s Turkey rapporteur, said she has every right to meet Gulen-linked groups. “It’s part of my role to speak with a broad range of people”, she said. She said Hizmet-linked lobbyists in Brussels were "not necessarily the most credible promoters of democracy in Turkey”, but she did not see them as spokesmen of a religious sect or a political lobby. “I am meeting with business representatives, journalists or, more lately, judges, who tell me about their problems and raise concerns about the human rights situation in Turkey”, she said. She urged Turkey to respect the rule of law in its post-coup crackdown, saying it was wrong to jail people on matters of conscience. ”The way it works is that you can only be sentenced for something you did - not for something you believe in”, she said. She defended Erdogan’s right to bring criminals to justice. “Trying to illegally overthrow a democratically elected government is the biggest crime you can commit. It would also have closed the door for democracy in Turkey”, she said. 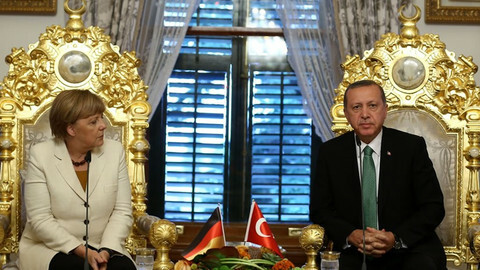 But she said the Turkish president created an opening for Hizmet by neglecting EU relations. She noted that ”the joint parliamentary committee hasn’t convened for over a year”, and that Ankara disregarded the last two European Commission reports on its accession instead of engaging its EU critics. ”The absence of dialogue with the Turkish government and between our parliaments made it much more easy for these groups to … be well received in Brussels”, she said. Hizmet also created its openings. 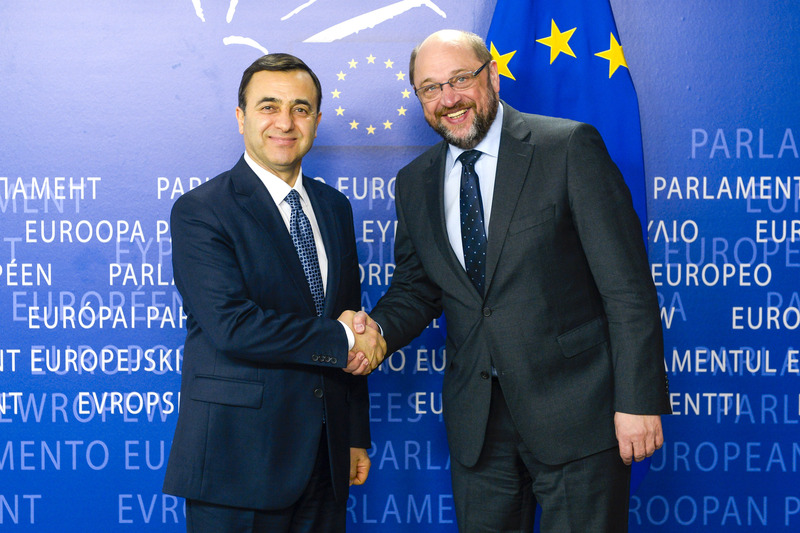 Schaake, the Dutch liberal MEP, said most people in the EU capital who were involved in Turkey relations had met with Hizmet advocates, sometimes unknowingly. ”I have talked to lobbyists who explicitly denied being Gulenists at the time - especially when they were still in an alliance with the AKP - but who now lobby openly as Gulenists”, she told EUobserver. Schaake said she was “always critical” of Hizmet because they had once espoused the same authoritarian methods that they now criticised in Erdogan. The Dutch MEP was targeted by Gulen-linked pressure groups when she condemned the censorship of a Hizmet-critical book - the Army of the Imam by Ahmet Sik. She was also targeted after she questioned the probity of the Ergenekon and Sledgehammer trials. ”AKP and Gulen worked together to silence journalists and critics … specifically those pointing to the dark side of Hizmet,” she said. Tukson’s Yesilyurt said that, until 2011, he was “one of the main advocates of AKP in Brussels”. He also said he started to criticise the AKP “when Erdogan turned in an autocratic direction”, but he said that leading EU politicians were guilty of the same sins. "The EU was supporting Erdogan at that time. 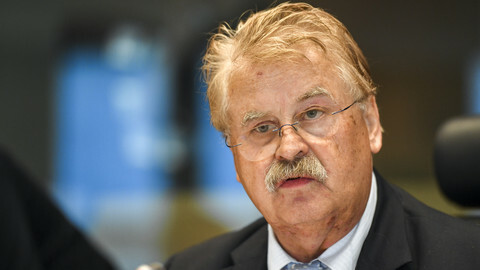 If I am guilty, so is Elmar Brok [a senior German centre-right MEP], Andrew Duff, and others." ”Turkey is not the Netherlands,” he said. ”Our history is marred by coups, which were always followed by persecutions”. He said that Hizmet followers in Brussels should be more open. Yesilyurt and Guveli said it was wrong to speak of a Hizmet or Gulenist “lobby” in Brussels. They said Hizmet is a loose fellowship of people who share Gulen's ideas, a prolific writer of more than 40 books on Islam and ethics. They said it has no official structures and contains a variety of individuals, who do not act in concert or speak for each other. Yesilyurt and Guveli said that Gulen’s followers rose to top positions in Turkey due to merit, not because of a conspiracy. Guveli said: “We are the children of Turkey. We work hard. We are well educated. Why wouldn't we be allowed to take up top jobs in the state?”. Last year, Tuskon’s EU representation severed ties with management in Turkey and began working as an independent non-profit organisation in Brussels. ”This way, the government cannot legally seize our assets, our contacts,” Yesilyurt said. He said the group needed new sponsors, and that it would focus on highlighting Hizmet persecution in Turkey instead of promoting business ties. Guveli’s IDP was always a Belgian-registered charity. He said its EU advocacy was more important now than ever because of Erdogan's handling of the coup. “Kati Piri [the Dutch MEP] is wrong,” he said. ”We are the best way to promote democracy in Turkey." By neglecting Turkey for years and by failing to find its own solution on refugees the EU lost leverage on Turkey and finds itself played "like a yoyo" by its hardman leader. After the forced takeover of Zaman, a daily critical of Turkey's president, its Brussels correspondent Selcuk Gultasli was told to stop writing. He asks the EU not to bargain with its values. Two MEPs returning from a fact-finding mission to Turkey said they had underestimated effects of the foiled coup on Turkish society. EU migration commissioner Avramopoulos said he hopes to one day travel to Turkey without a passport in a statement that aims to smooth over tensions with Turkey in the wake of the military coup.